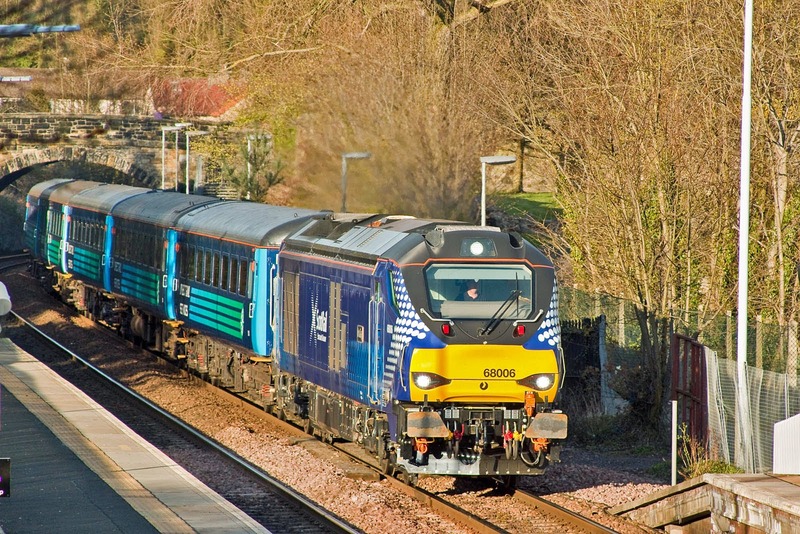 68007 is correctly matched with the ScotRail set at Aberdour with 2K14 18:15 Glenrothes with Thornton - Edinburgh on 14th. The same train on the following day, in sunshine. 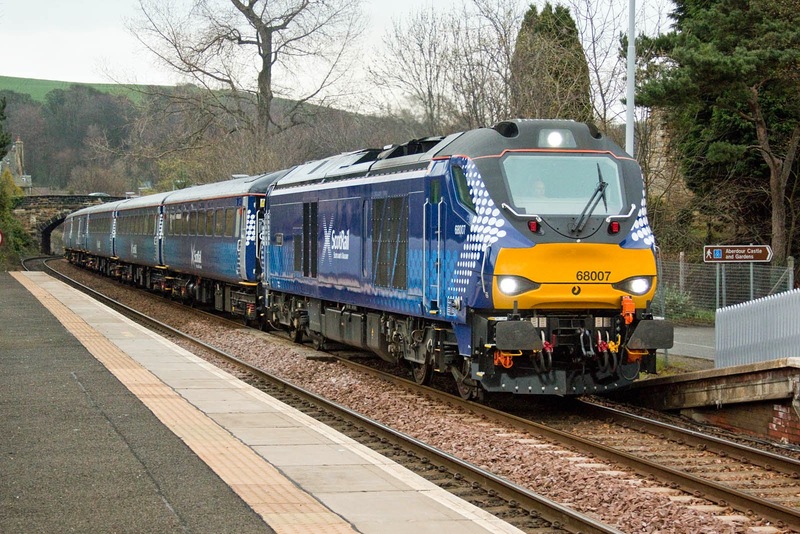 68003 has now also been seen on the Fife Circle. 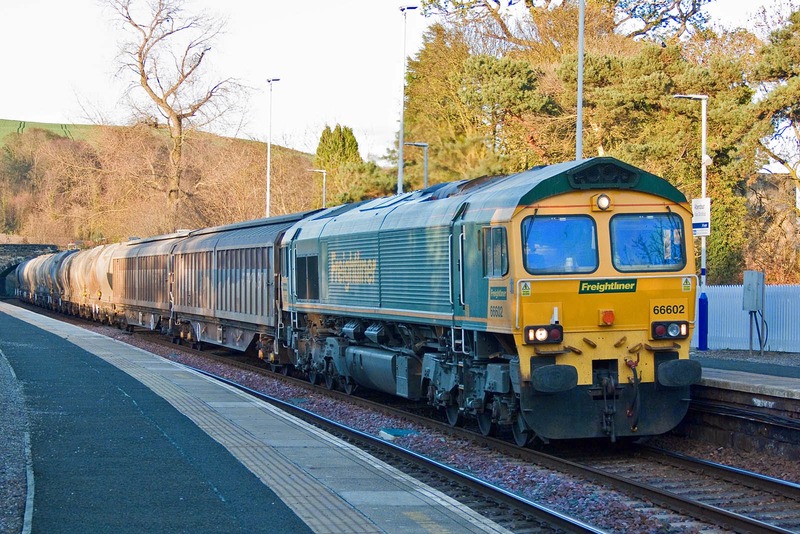 68006 with a DRS set 5L70 18:24 Cardenden - Motherwell. 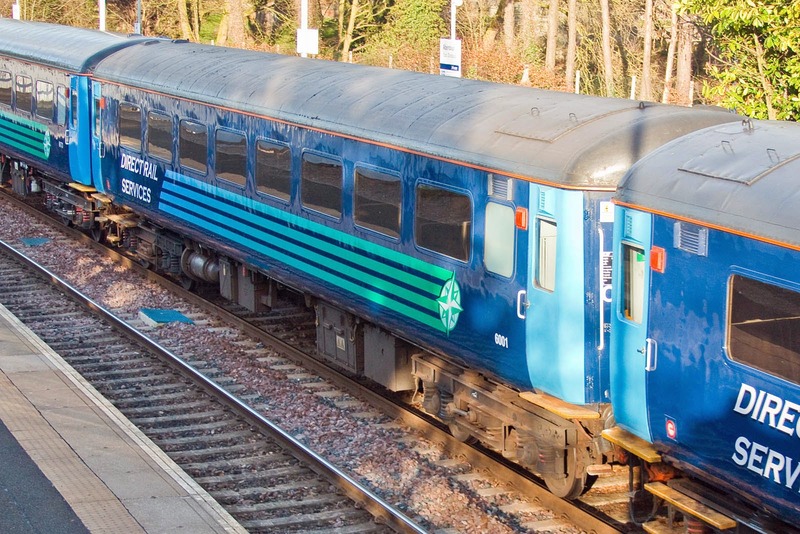 The set had 6064 removed and replaced by Mk2E 5810 (BR Derby, Lot30844 1972-73), seen as first coach. 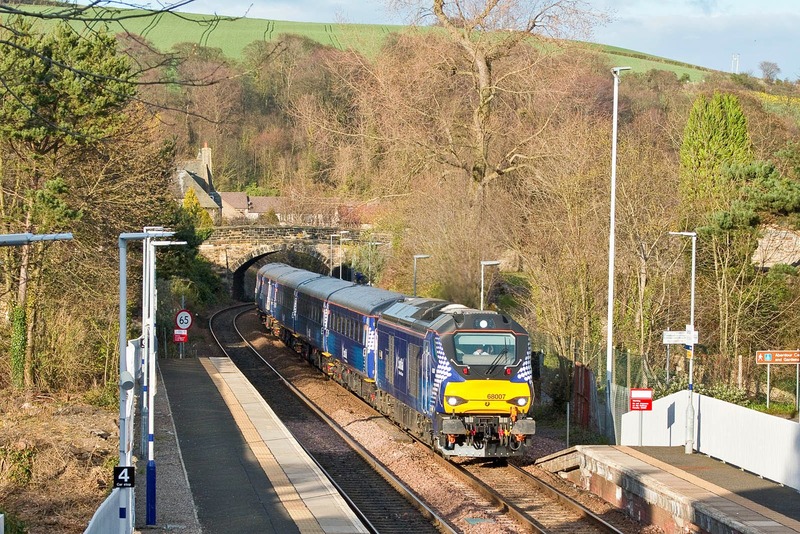 ScotRail liveried 5952 has subsequently joined this set. TSO 6001 (BR Derby Lot 30860, 1973-74). 66602 with 6B32 16:52 Craiginches - Oxwellmains cement empties.